“At first I climbed mostly alone,” remembers Jim Gehres as he searches the white wall across the room for memories half a century old. His hair is parted far to the right and smoothed properly over his head in a style nostalgic for the 1940s. It’s still mostly jet-black despite his age, which shows in the wrinkles of his thin, tan skin and the tired slope of his shoulders. His eyes, though, are still guileless and excited, like a schoolboy’s on the day before summer vacation. Over the 50 years since Gehres reached the boulder-strewn top of his first Fourteener, he has witnessed the Western mountains develop from desolate backwoods to recreation hotspots. In the early 1990s, he helped begin the effort to improve access to the peaks and build sustainable trails as Colorado’s population boomed. He watched as climbing technology advanced and millions of people flocked toward the mountains. Through it all, Gehres spent his weekends away from his work as a tax attorney putting one leather-booted foot in front of the other, hiking onward in the slow but steady tradition of the tortoise. “Jim just loves being out,” says Walter Borneman, one of his oldest friends. Borneman is the author of a preeminent Fourteeners guidebook, and he’s had Gehres check over his facts before publishing each edition. Borneman chuckles when he retells the story of when he went backpacking in Wyoming in 1978. While climbing up Grand Teton in a rain and lightening storm, he saw a familiar face ahead of him. “Who should come down the trail with a Goldline rope coiled around his shoulder, wearing a white T-shirt and blue jeans and no rain gear?” Gehres didn’t sweat climbing; it was his simple pleasure. “He’s pretty humble about all this stuff,” Borneman says. After Pikes Peak, Gehres was hooked. 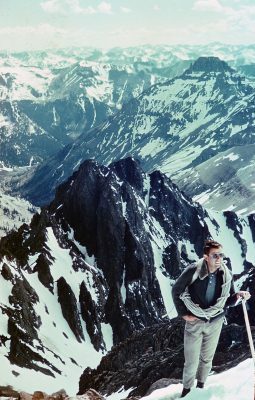 He had climbed all 54 Fourteeners by 1965. Then he began climbing each of them again and again. He’s walked up a 14,048-foot mountain called Handies Peak 16 times, rounding his back to the hillside and setting his pace, shallowly breathing in the thin air. Gehres knows the landscape around Handies intuitively: You take a road over the crooks of Cinnamon Pass and Engineer Pass to reach Lake City, then weave between the rough points of Redcloud, Uncompahgre and Sunshine Peaks. Gehres, in the foreground, follows a fellow hiker upslope. Those days are forever gone. Between 1960 and 2010 the population of Colorado nearly tripled. There are now a little over five million people calling the rugged state home. “Eighty-seven percent of Coloradans report that they use state trails regularly,” says Tim King of Colorado Parks and Wildlife. On top of that, millions of tourists visit the Rocky Mountains every year. “You get a lot of people saying, ‘I want to bag a Fourteener,’” Mr. King says. Borneman, who served for almost a decade on the board of a preservation nonprofit called the Colorado Fourteeners Initiative, agrees. Climbing Fourteeners is a rite of passage in his outdoorsy state. But such ambitious hiking can be problematic. “Sometimes you can love mountains to death by usage,” he says. Nearly all of the trails on Fourteeners weren’t planned, according to Lloyd Athearn, executive director of the Colorado Fourteeners Initiative. “They were literally just trampled into the ground.” Gehres and other concerned climbers started the Initiative in 1994. He wanted to take better care of the mountains that had offered him so much contentment. The goal of the Initiative is to build one main sustainable trail up every Fourteener. Hundreds of volunteers spend their summers building switchbacks and granite steps to fight erosion and piling up stone cairns to keep climbers from accidentally wandering into the wilderness. They’ve completed trails on 22 peaks so far. 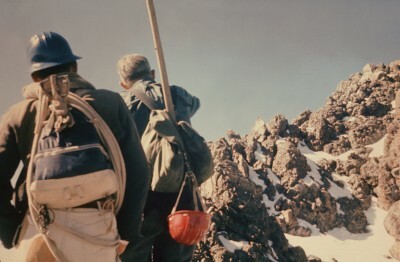 In the early days, the club’s guide to Fourteeners just had one word describing the ascent of the more difficult peaks: rope. Now guidebooks detail various routes section by section, and the club offers rock climbing, mountaineering and wilderness first aid classes. The club has been around for 100 years. Borneman is the president, and Gehres still sits on the board. Now he and his current wife Marjorie arrange yearly “rambles” with a couple dozen friends. They travel to ranges off the beaten path and enjoy less arduous walks in good company. He doesn’t get to “keep score” any more, ticking off ascents of the famous 54 Fourteeners in his record books. He doesn’t experience the solitude of his victory atop an empty peak. 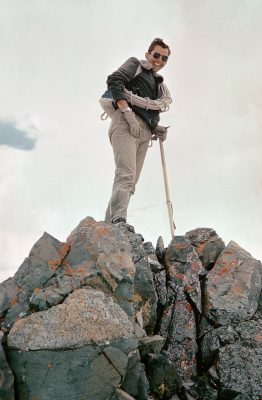 But his long lonesome climbs have evolved into rolling jaunts with close companions, and his place in the lives of other climbers is proven by his faithful following for each year’s ramble. “I guess I’ve met a lot of valuable friends in the process,” Gehres murmurs in his shy way as he looks into his worn hands.